Psychology professor Eva Pomerantz and her colleagues found that middle school students’ stereotypes about adolescence influence their own behavior. CHAMPAIGN, Ill. — In many societies, teenagers are repeatedly told – by adults, peers and popular media – that teens are more likely than younger children to take risks, ignore their parents, skip schoolwork and succumb to bad influences. But stereotypes are not destiny, a new study of Chinese middle school students suggests. 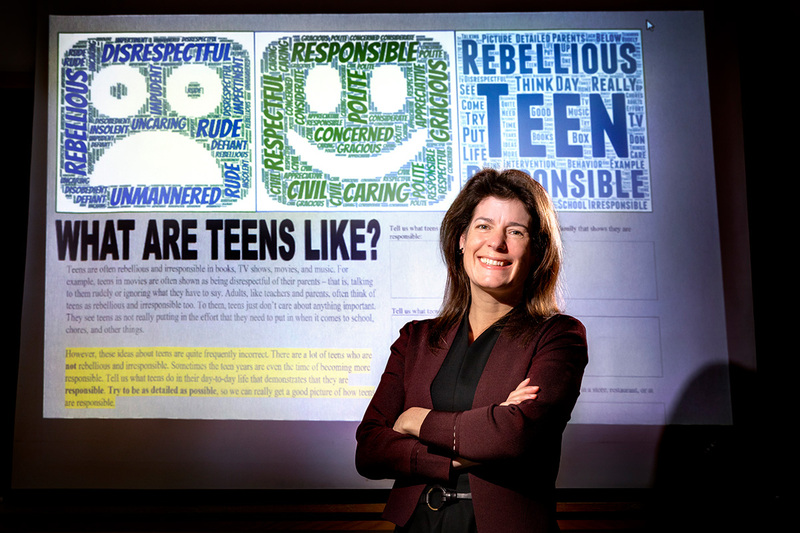 In the study, reported in the journal Child Development, researchers talked with students about the “stereotypes adults hold about teens,” then suggested that the teenage years are in fact a time when youth take on greater responsibility. The researchers asked the students to describe specific examples of teens behaving responsibly at home, at school and elsewhere. They tracked how the students thought about teens and how they conducted themselves after this intervention, comparing them with control groups tasked only with describing teen behavior. “We were interested in whether students’ stereotypes of teens shape how they navigate adolescence,” said University of Illinois psychology professor Eva Pomerantz, who conducted the research with Yang Qu, a former U. of I. graduate student and a professor at Northwestern University; and Guohong Wu, a professor at Fudan University in Shanghai. Many societies stereotype teens as rebellious risk-takers. A new study challenges these stereotypes with a view of adolescence as a time of increasing responsibility and tracks how middle school students respond. This first study involved 124 students from two middle schools in Shanghai, with one control group and one intervention group per school. In the second study, the team looked at 319 students from three middle schools, again with matched control groups. To avoid the possibility that the students were just reporting what they thought the researchers wanted to hear, the team separated the intervention part of the study – asking students to describe specific teen behaviors at home, at work and elsewhere – from the follow-up testing, which in this case involved the students reporting on their own behavior at the end of the day for the next three days. After asking students to engage in an optional English-language word-search puzzle during a “break between the two studies,” a second research assistant introduced them to the second part of the study: the daily reports, which students completed for the three days following the intervention. “After this very brief intervention, we had students in the intervention group saying, ‘I paid more attention in school; I took part in more discussions; I did my homework more; I didn’t hang out with kids who get in trouble; I didn’t lie and I didn’t cheat,’” Pomerantz said. 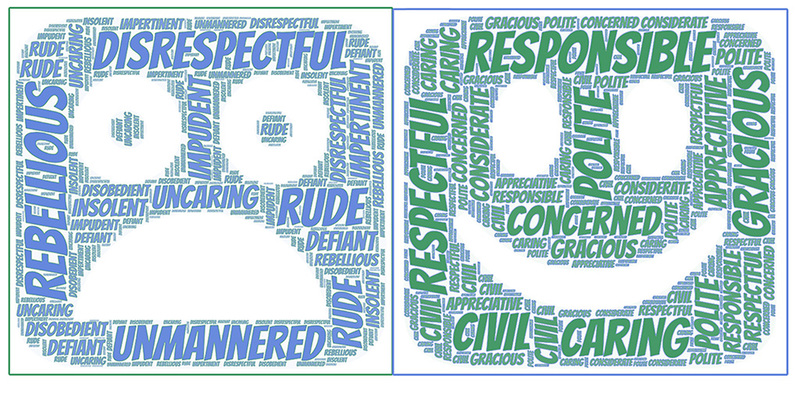 The students in the control groups did not report as much constructive behavior in the daily reports, however. The students in the intervention group also did better on the word-search test during the break, the researchers found. Those in the control groups found, on average, about five words in the five-minute test. Those in the intervention groups found about 6.3 words on average, a 26 percent better performance. Pomerantz said she looks forward to conducting similar studies in the U.S.
To reach Eva Pomerantz, call 217-244-2538; email pomerntz@illinois.edu. The paper “Countering youths’ negative stereotypes of teens fosters constructive behavior” is available online or from the U. of I. News Bureau.